The hardest part of getting started as a session musician is finding your first few jobs. 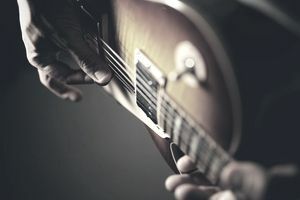 These tips should help you narrow your session musician job hunt down and kick start things, so the work starts pouring in. A lot of things in the music industry are about who you know, and getting to work as a session musician is no different. Do you know any musicians who are getting ready to record that might be able to use an extra hand? Do you know anyone who works in a studio? Even if you don't know anyone who can give you some work right off the bat, get the word out in your circle that you're available for hire. Studios are often in the position of telling musicians where they can find a good such and such player. You need to be on their radar. If you live in a place with a healthy music scene, you'll be facing a lot of competition, and there are likely to be established players that get the first phone calls when a job needs to be done. That's ok. You just need your one chance to get in there and do a good job, so stick with it. When you're introducing yourself to a studio, play up any past experience - it will let people know that you're professional and understand the recording process. Are there any labels operating in your area? Make sure they know you're available to hire, so they can mention you're name when one of their bands need a player for recording or someone to fill in for a show. Advertise your services on Craigslist, local papers, flyers in record shops and studios, message boards frequented by musicians - anywhere you can think of it. Think about especially targeting websites and message boards that are read by songwriters who may need a musician to record demos of their songs or vocalists who need a backing band to record their demo. OK, maybe your dream is to make a living playing the guitar as a session player. Take a number. If you play a mean glock/pedal steel/theremin/insert instrument here, that could be your way of opening the session musician door. It doesn't have to be a particularly outlandish kind of instrument - horns, double bass, mandolin, cello - it's much harder to find musicians who can play these instruments than it is to find a session keyboard player, which makes those musicians in higher demand. Even if you want to move to a different instrument later, work your unique skills to get in the door. If you're having a hard time getting the studios to pay attention to you, consider booking a recording session. Don't blow a lot of money, but if you can get in for a few hours, you'll build a relationship with the people working there while showing off your chops. This is more of a workaround than an ideal situation, but sometimes creative thinking is key to getting your break! Breaking into session musician work can take time and patience. Just like everything in the music industry, it is competitive and requires a lot of self-promotion and a little bit of luck. Continue to put yourself in situations where you'll meet fellow musicians and where people can hear your playing, and keep spreading the word. It may be hard breaking into this kind of work, but the flip side is that once you're in, you're IN. The time and effort you invest in establishing yourself will have been well worth it when you're the go-to player in your town.